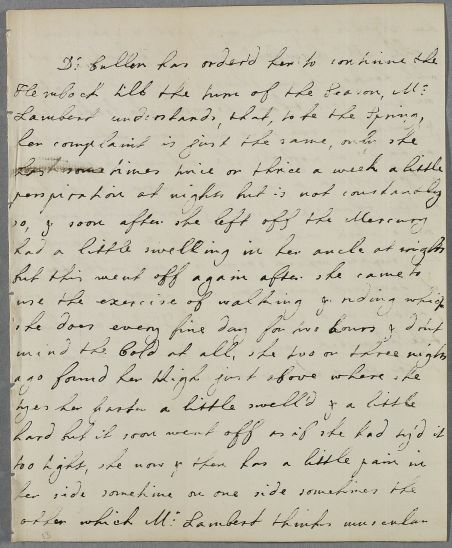 Letter; an orphaned case note concerning Miss Simpson. 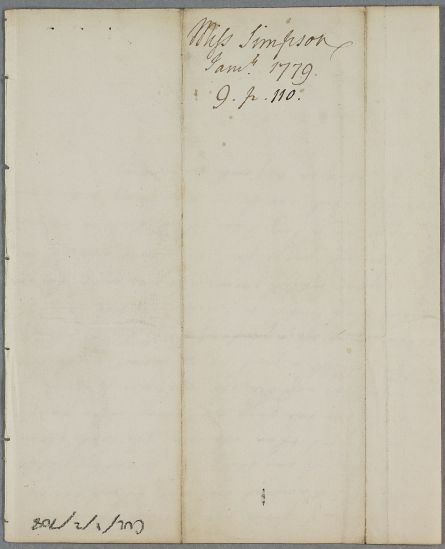 Unsigned and undated, but context strongly suggests this is the communication of 29th November 1779 to which Cullen refers in his reply of 5th December. Comparison of handwriting supports the identification of the writer as the surgeon William Ingham who worked with Lambert at Newcastle. 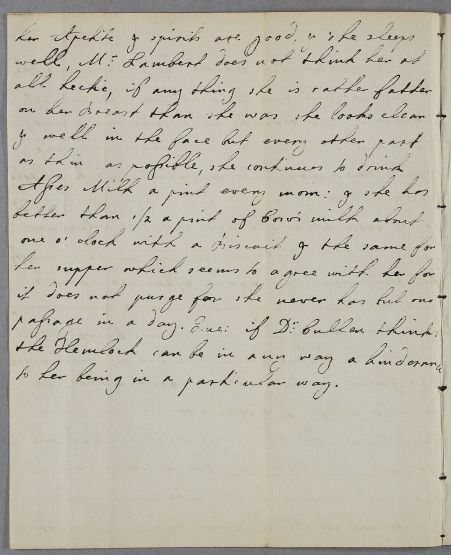 Summary Letter; an orphaned case note concerning Miss Simpson. Unsigned and undated, but context strongly suggests this is the communication of 29th November 1779 to which Cullen refers in his reply of 5th December. Comparison of handwriting supports the identification of the writer as the surgeon William Ingham who worked with Lambert at Newcastle. Case of Miss Frances Simpson who is treated for an overian tumour under the immediate care of the surgeon Richard Lambert. to her being in a particular way. 9 . p . 110 .